Emily Sasser is originally from Brewton, Alabama. She received her Bachelor’s in Exercise Science from Auburn University, and her Doctorate in Physical Therapy from the University of St. Augustine in 2014. 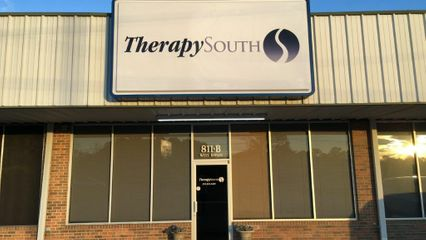 After graduation Emily began working for TherapySouth. Emily's passion is helping her patients meet their personal goals. Emily is a manually trained therapist, dry needling and pelvic rehab practitioner. John attended Auburn University and received his Bachelor’s in Exercise Physiology as well as his National Athletic Training certification. He attended Wallace College and graduated with his Physical Therapy Assistant degree. John has 25+ years of experience in the rehabilitation/sports medicine arena, serves the community as an athletic trainer, and works to be on the forefront of rehabilitation techniques as a PTA.